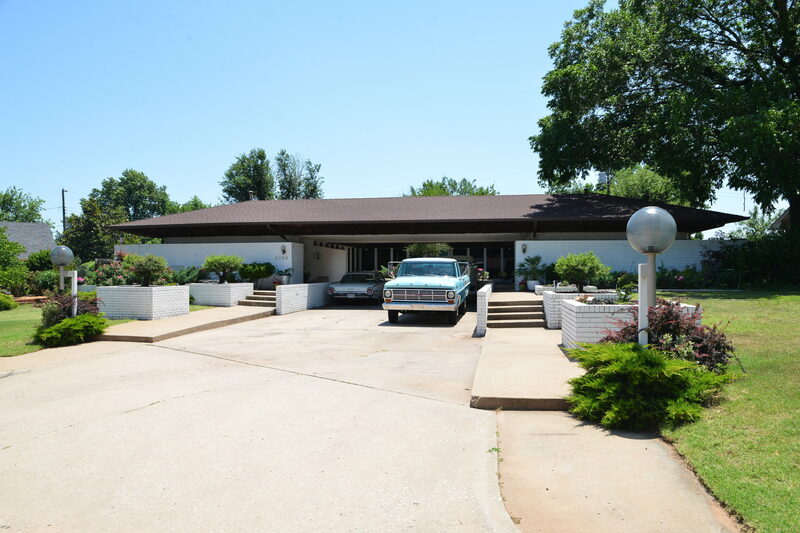 In the 1960s and 1970s, architect Thomas Goto worked with housing developer, John Gray, in designing homes in the Lansbrook, Penn Park, and Canyon North additions. During the early years of their partnership, Gray, Goto, and a few of their friends decided to buy lots on a quiet cul-de-sac and build their homes there. Goto’s home was at the head of the cul-de-sac and the home he designed for Gray was a few doors down. A native of Hawaii, Goto incorporated many elements of modern Hawaiian residential design in this residence, including a low-slung, U-shaped plan surrounding an intimate, central courtyard. Check out this Mod Blog post to see more photos of this distinctive home.